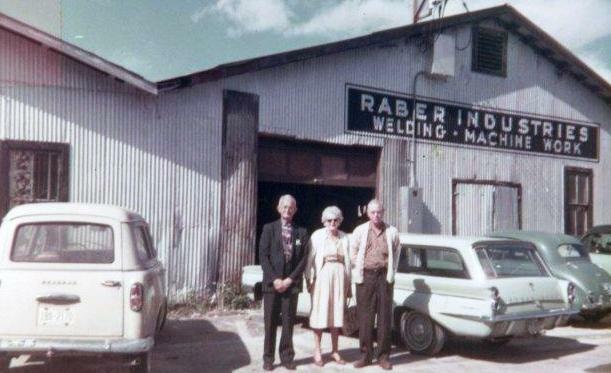 Raber Industries is located in the Fort Myers, Florida, area. We do work regularly from Marco Island to Sarasota, and occasionally beyond this area. At this time we are not working out of state. At Raber Industries, we are all committed to making your job our first priority, and to do your work to the highest industry standards. We are all dedicated to keeping our customers happy, and will do whatever it takes to get the job done to your satisfaction. Please contact any of the people below when we can be of service to you. Tom Raber, the owner and President, has over 33 years experience in all phases of metal work, from the initial bid to the complex layout of curved stairs and rails for fabrication, to the safe installation of our products, and is an active member of the National Ornamental & Miscellaneous Metals Assoc. Barry Raber has 28 years experience in estimating, fabrication, and installation, and complete project management. Marilyn Vandervort has 33 years experience in computerized estimating, fabrication, and installation. Our shop fabrication and field installation personnel include Tim Stoffel, 25 years experience; and John Raber, Tom Raber's oldest son, is a very welcome addition to our team. We appreciate the opportunity to bid on your work! This shop was located on the Caloosahatchee River, off Palm Beach Blvd. Tom Raber's grandfather is pictured on the far right.